Viewers identify with the ordinary people who are chosen as participants. The people chosen to be in these shows seem like everyday people to us; before the show they worked hard, have families, have a daily routine–we like to relate to those we feel are on our same level. By engulfing our lives into the lives of cast members, we believe our dreams really can come true. 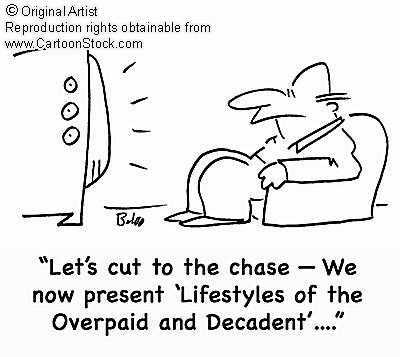 Reality television provides an escape from everyday lives, which is why many people watch it. It allows us to take our minds off our own problems and focus on those that may have it worse off. Furthermore, we may even feel better about ourselves after seeing the hardships that these people are going through, and they are doing it on national television. We are a competitive culture. We like to pick favorite teams and cheer them on to victory, and joke about those who seem to fail–there are always winners and losers and that, unfortunately, is what our society has come to. Viewers may want to test their morals to those of the contestants. People watching these shows may want to see how they would react to certain situations or challenges and see which characters follow, who does not.